This is for the disposal of large, bulky or difficult to dispose of items. Furniture, appliances, and tires. This is not for the disposal of regular household garbage. Sponsored by the city of Omaha & Keep Omaha Beautiful. Notes Mayor Jim Suttle, “This is a great way for residents of Omaha to collaborate on a worthy project.” For more info call the City at 402-444-4636. For more info,click here. Last year, citywide residents disposed of more than 1,400 tons of unwanted items, 95 tons of scrap tires, and nearly 600 junk appliances. This year, 100 neighborhood groups will participate in the Neighborhood Clean-Up program at 83 different locations throughout Omaha. 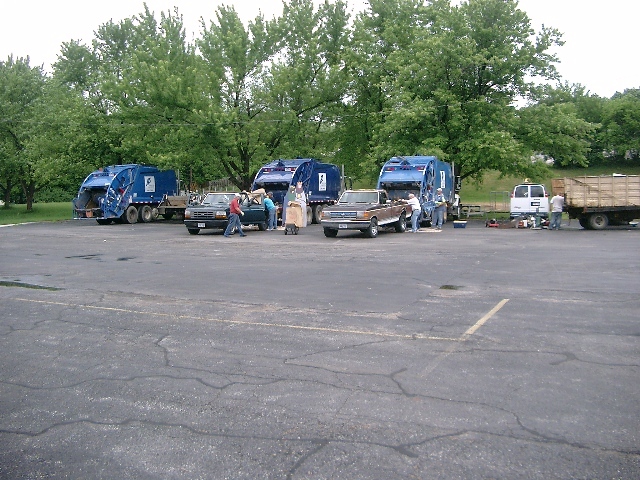 The “Big Bulky Junk Off Clean Up” is a fabulous opportunity for Elk Creek Crossing residents to help keep our neighborhood looking great – and a great place to live. Previous Holiday Hunt A Hit! Next May 26-28 ECC Garage Sales!